St. Martin's Griffin, 9781250001184, 336pp. 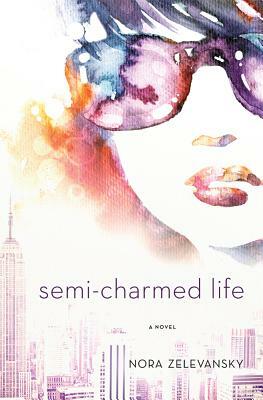 In Nora Zelevansky's hilarious debut, Semi-Charmed Life, an Upper West Side naïf, Beatrice Bernstein, gets swept up in the seemingly magical life of famous-for-nothing twenty-something, Veruca Pfeffernoose, while ghost writing her blog. Veruca's glitteringly opulent world soon seduces Beatrice away from her own insular, arty family with a promise of fancy parties, travel outside Manhattan (for once) and one desperately cute guy. But when her new glitzy lifestyle starts to take on dark undertones, Beatrice has to decide who she is—once and for all. With her own magical touch, Zelevansky deftly explores the world of rarified Manhattan in this sparkling modern fairy tale of first love, finding one's voice and growing up. NORA ZELEVANSKY is the author of Will You Won't You Want Me? and Semi-Charmed Life. Her writing has appeared in ELLE, T Magazine (The New York Times), Town & Country, the Los Angeles Times, The Wall Street Journal and Vanity Fair, among others. She lives with her husband and daughter in Brooklyn, New York.